Let the sun shine in on your ticket sales! 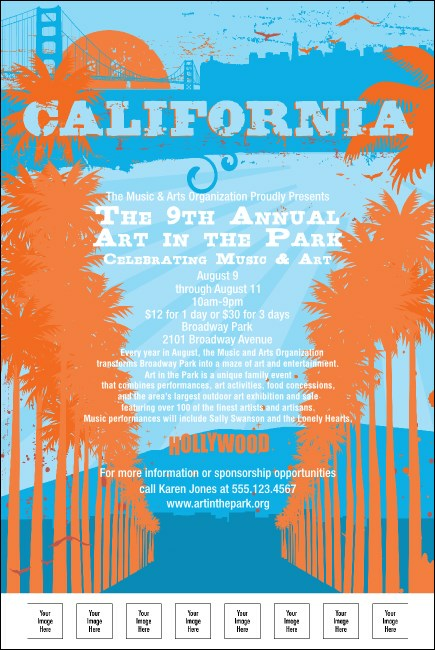 For the perfect local event, the blue and orange California Poster provides a bright background for the details of your next gathering. Norcal and Socal are both represented and with space for eight of your own photos or logos, you can't go wrong! Keep it golden in the golden state with matching promotional materials from TicketPrinting.com.